ATLANTA, GA – Award winning Disc Jockey, Producer, Actor and MC, DJ Ecool, performed at TheLoft (Center Stage) , located at 1374 West Peachtree Street Northwest, Atlanta, GA 30309 on Friday, March 22, 2019. Doors opened and 6:00pm and the show was from 7:00pm to 11:30pm. A crowd of over 500 were in attendance to celebrate DJ Ecool’s birthday concert. Ecool is well known for his effortless blend of Afrobeats with Hip-Hop, Pop, EDM and Top 40. 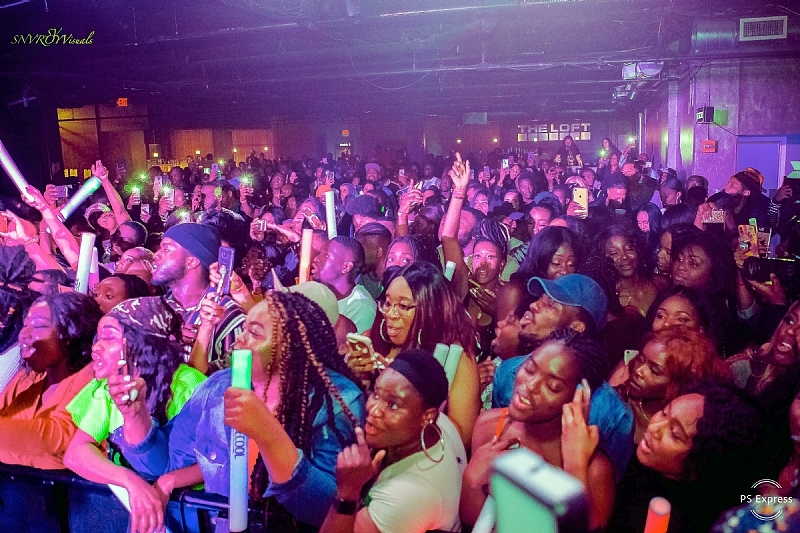 To give the local Atlanta fan the full feel of an Ecool Concert Experience the event featured over 20 entertainers that ranged from recording artist, musicians, DJs and dancers. Davido, Dremo, Danagog, Efya, DJ Tunez, Coca Vango, Kiddominant & moreblessed the stage. Ecool knew how to keep the party going by giving the people an unforgettable experience on the filled with music and performances. As the night came to an end, DJ Ecool couldn’t help gushing over the massive energy and love in the room. He made sure to express his gratitude one more time before leaving the stage. here’s a video highlight of some of the performances.